From a month ago: the last time I wore sandals. I work in a casual office environment and like dressing comfortably, so sometimes I'll just throw on a romper with a sweater. My Dear Creatures rompers are among my most worn (this one is especially flattering and just fits so well). 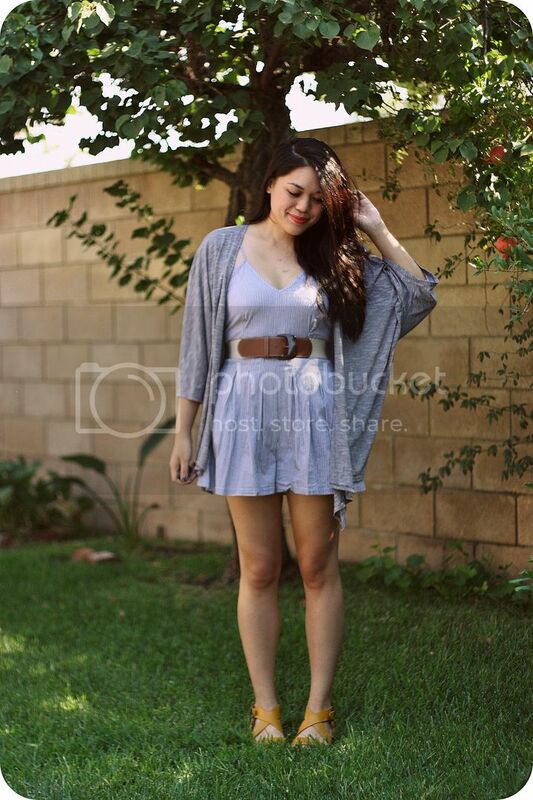 I wore it with a kimono style cardigan, a wide elastic belt, and my yellow leather sandals. Alright, I have some prepping to do for Thanksgiving and will be taking the rest of the week off from work.